A soft and mellow fragrance with notes of warm woods. A mist of refreshing body fragrance designed to cool and perfume your body without drying your skin. 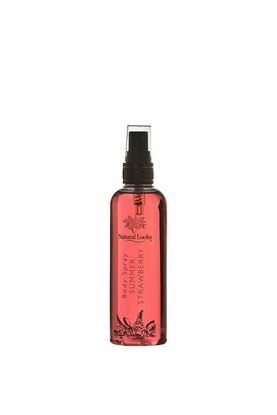 Scrumptious Strawberry fragrance with a hint of soft vanilla and fresh flowers. A fruity mist of refreshing body fragrance designed to cool and perfume your body without drying your skin. 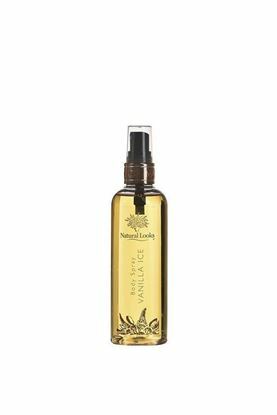 One of Natural Looks’ luxury perfumed body sprays. 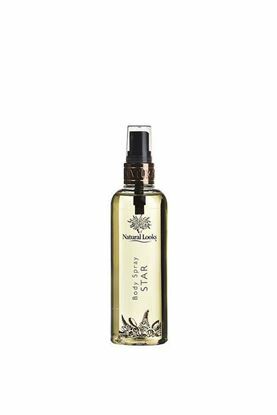 Provides a light refreshing mist of Star fragrance, a soft and feminine blend of floral, woody and musky aromas, to cool and perfume your body without drying out your skin. A sensuous body spray with a powerful floral heart embraced by warm woody and vanilla notes providing a lasting fragrance to cool and perfume your body without drying your skin.